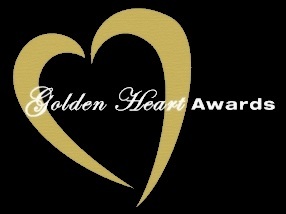 The Midnight Mission the biggest organization created annual gala of the Golden Heart Awards. Midnight Mission- is one of the oldest continuously operating human services organizations in the Los Angeles region. Centered in the Skid Row area of downtown Los Angeles, the Mission runs one of the most efficient direct service operations in the country. With only four executive managers throughout its 100 year history, the Mission has been a consistent beacon of light for those with nowhere else to turn. In 1914, Tom Liddecoat, opened the doors of the Mission as a refuge to the men of Skid Row. A successful businessman and lay minister, Liddecoat would serve a meal at midnight (hence the origin of the name) after church services were completed. In 1933, Henry Richman was named managing director and led the organization through the depression of the 1930's. The Mission was designated "California Emergency Relief Station No.1" by the federal government. Under Richman the organization discontinued religious services and affiliation.